Staples Coupon: Free Bag + 15% off Everything in the Bag. 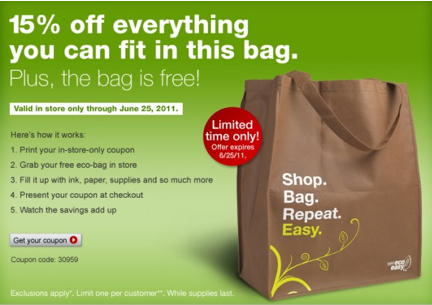 There is a great Staples coupon for 15% off everything** you can fit in the bag (including ink!) and get the bag Free! This coupon expires 6/26.